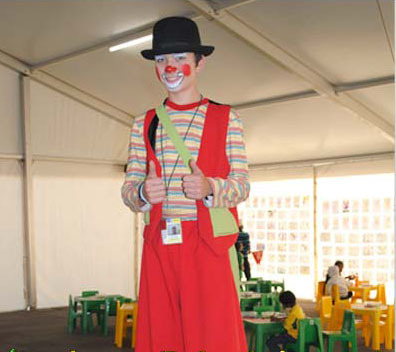 Hire a Stilt Walker for your party or event, great for a carnival theme. Three metres high, these tall characters are visible from afar, and make for a perfect attraction for malls, grand openings, expos, company family days, flea markets, etc. Every child in the crowd will want to shake the hand of one of our stilt walkers.